century, the Industrial Workers of the World (IWW). overthrowing capitalism, the Wobblies’ ultimate goal. social gatherings, and leadership posts—all unusual in American labor history. smiling black face and asked: ‘How’s that, Ben? ideals, though never again played an active role in the union. effort to establish interracial equality in the early 20th Century. 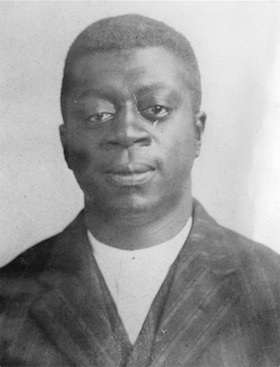 Peter Cole, Ben Fletcher: The Life and Writings of a Black Wobbly (Chicago: Charles H. Kerr, 2007); Peter Cole, Wobblies on the Waterfront: Interracial Unionism in Progressive-Era Philadelphia (Urbana: University of Illinois Press, 2007); William Seraile, "Ben Fletcher, I.W.W. Organizer." Pennsylvania History 46:3 (July 1979). Press, 2007); William Seraile, “Ben Fletcher, I.W.W. Organizer.” Pennsylvania History 46:3 (July 1979).